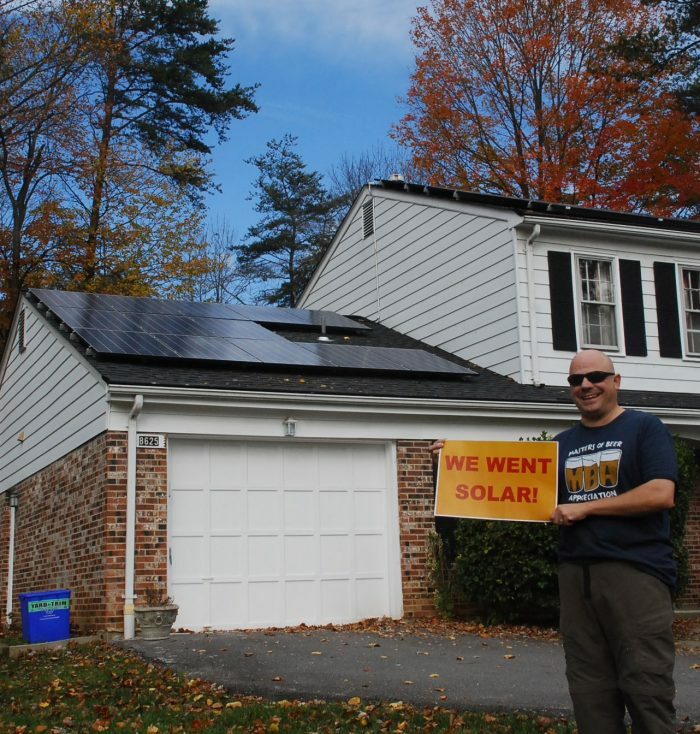 Montgomery County residents participated in our second County-wide Solar Co-op this year and it was a success again! Since the inception of the program, we have had over 240 homeowners install solar on their homes! These residents all took advantage of Solar United Neighbors (SUN) Solar Co-op program. Through this process, those residents have spent over $5 million dollars on their installations and increased the amount of solar energy online by 1,966.03 kW…that’s almost 2 MW of power! The chosen installer was Solar Energy World. Co-op members leverage bulk-purchasing power to get discounted pricing and a quality installation, while still signing individual contracts that ensure the right system for your home. This means you can save money, get support through the entire process, and become part of a network of solar supporters. Plus Solar United Neighbors helps guide you through the entire process. Solar Co-ops make installing a solar system easy. Solar United Neighbors brings 50 to 200 neighbors together and support you through the entire process. They stay with you for the long haul so you can maximize the value of your solar investment. The Solar Co-ops take advantage of a group of homeowners’ bulk-purchasing power to get discounted pricing and a quality installation. Volunteer co-op members choose an installer on behalf of the entire group through an open and competitive bidding process. The selected installer provides co-op participants a personalized proposal for their consideration.